The Best Face Washes & Cleansers for Oily Skin – When you have oily skin, the quest to find the perfect facial cleanser is more complicated than most. People with oily skin tend to attract more dirt and produce excess sebum than the average person. This makes finding a face wash that goes hard on the dirt but gentle on the skin a bit tricky. When I was young, I always felt like my face produced so much oil it attracted all the dirt in the air wherever I passed. So naturally, at the end of the day, I always felt like washing my face with a cleanser that made me feel dry and squeaky clean after. It always made me feel like the product has done its job well by stripping everything off my face. Little did I know, not only was it aggravating my oily skin but also putting my skin’s lipid balance out of whack. It invited a host of other skin issues like sensitivity, dryness, and irritation. Finding the right cleanser is crucial to how you’re setting up your skin for the rest of your day. It’s also one of the main pillars of a balanced skincare routine, so choosing the right one for your skin type is essential. In this article, we’ll discuss what you need to know when looking for the perfect cleanser, as well as a shortlist of the best products with our highest ratings for your skincare needs. 1.0.5 5. 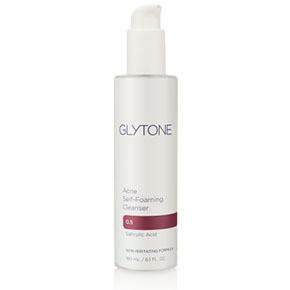 GLYTONE Acne Self- Foaming Cleanser, 6.1 fl. oz. 1.0.7 7. PCA SKIN BPO 5% Cleanser, 7 fl. oz. The best cleansers for oily skin need to be a powerhouse in flushing out all that oil and grime at the end of each day but gentle enough that it won’t dry or irritate your skin. If you break the balance of your skin by stripping it too much of moisture and natural oils, it’s going to compensate by generating more oil. That’s why it’s very important for people with oily skin to be well-hydrated. Choose a product that does not leave you dry, and quickly follow up with a light, easily absorbed moisturizer. If you have oily and sensitive skin, use a gentle cleanser aimed for oily skin that is both hypoallergenic and fragrance-free. If you don’t have cystic acne, you can combine it with a cleansing brush aimed for sensitive skin for a thorough clean. If you have oily skin with acne-prone skin, blackheads, whiteheads, and large pores; you can look for cleansers that incorporate chemical exfoliants in their ingredients. Chemical exfoliants like AHAs dissolves dirt and dead skin cells from the upper layer of your skin. BHAs loosen up hard plugs and flush out excess oil from pores. You can combine these with a physical exfoliant like a cleansing brush or a microdermabasion device twice a week to remove any remaining build up. This routine can be amazing and life-changing, but it’s not for everybody. Some people, especially those with acne, can find chemical exfoliants to be irritating on the skin. If chemical exfoliants won’t work for you, it’s best to choose the routine for sensitive skin and combine it with your topical medication. The right face wash is just the first step towards a balanced skin (i.e. having a clear, young-looking, and normal skin type). If you’re looking for a permanent solution to oily skin, it’s best to undergo a program that can address the underlying cause. You can try acclaimed skincare programs like Patricia Everson’s Oily Skin Solution. Oily skin tends to be thicker and resistant (i.e. 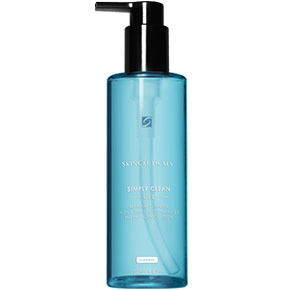 not sensitive), so it can usually tolerate a stronger cleanser formulated for oily skin. If you don’t have sensitive skin or isn’t acne-prone in particular, we highly recommend these to help maintain a healthy and well-balanced skin. These are our choices for the best cleansers for oily skin based on product formulation, claims, value for money, and consumer reviews. For best results, make sure to choose a product that is best suited for your skin type and skin issues. One of Paula’s products that can provide incredible mattifying effect and leaves skin shine-free for a long time. It can be a bit dehydrating for some though, so make sure to use a light moisturizer after. It’s lightweight in consistency and comes to a soft lather that is good enough to remove make-up (This is reportedly Elizabeth Taylor’s go to make up remover). As all Paula’s Choice products, it’s fragrance-free but not hypoallergenic so it can cause irritations to those with sensitive skin. Make sure to a patch test before trying this out if you do. 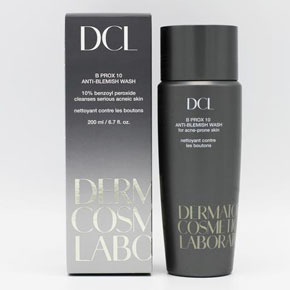 This pre-refining gel has five hydroxy acids to help exfoliate dead skin cells at the top layer of the skin. This helps stimulate cell renewal for smoother skin and reduced pores. It also has anti-inflammatory ingredients like aloe and chamomile extracts to soothe out the skin. If you regularly use makeup, you’ll need a separate makeup remover because this washes off just the oil and not cosmetics. Any form of acid can potentially irritate, so those with sensitive skin should do a patch test first. Clinique’s products have always been great, this one included. This is the first step in Clinique’s famous 3-Step Skincare System. The product develops into a foamy lather to gently break down dirt. It is also fragrance-free with a bit of cooling sensation from the menthol. This can feel refreshing for those with regular skin but can be irritating for sensitive skin. For all the men in the house who wants an all-in-one power cleanser, Rugged & Dapper has got you covered with their cleaner, scrub, and toner in one. It has aloe vera, vitamin c, tea tree oil, willow bark, and burdock root. They even offer a money-back guarantee within 60 days if you’re not 100% satisfied. It’s an all in one solution for men on the go. Combining BHAs and AHAs in your routine will not only help clear out impurities from the skin, but also increase cell turnover which results in younger, smoother, and more refined skin. Deep pore cleansing from facial cleansers also helps in inhibiting the growth of acne. Shifting to these line of products has been a life-changing event for me, in making sure that breakouts are kept at a minimum while also gently smoothing out rough and dull skin. 5. GLYTONE Acne Self- Foaming Cleanser, 6.1 fl. oz. This is a unique, non-irritating cleanser that works to unclog pores, remove surface debris, and gently exfoliate the skin. It has salicylic acid, a type of BHA or beta-hydroxy acid that’s proven to clear up acne pimples, whiteheads, and blackheads. Its self-foaming technology prolongs the contact of salicylic acid for better penetration and efficacy. You can also do a deep masque-like cleanse by leaving it on for 30 seconds before rinsing. One of the trouble with an anti-acne regime is that it can leave a lot of open pores in its wake. This product not only cleans out congested pores but is also known to close them up. It’s the first step of EFFACLAR ‘3-Step’ Anti-Blemish System. The only downside of this is the medicinal scent. If scents like this doesn’t bother you, this one comes highly recommended. 7. 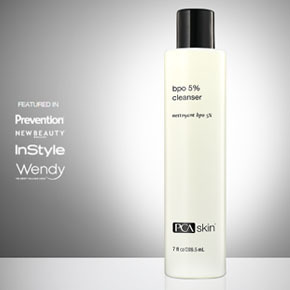 PCA SKIN BPO 5% Cleanser, 7 fl. oz. PCA is brand known for their corrective and potent formulations using alpha hydroxy acids. Exfoliants improve the health and appearance of skin by promoting cell renewal and prevent the buildup of dead skin cells. This daily cleanser has a unique combination of 5% benzoyl peroxide and phytic acid (exfoliant) to eliminate existing and preventing future breakouts. Gluconolactone is a calming, moisturizing ingredient that promotes a clear complexion. 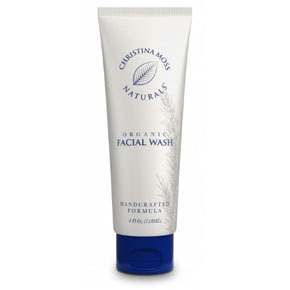 Botanical extracts soothe irritated and inflamed blemishes, allowing skin to heal. The 10% benzoyl peroxide (the highest % BP you can get OTC) washes away acne-causing bacteria, while its detoxifying mineral-rich clay and plant extracts work to absorb excess oil and refine pore size. This helps prevent any future breakouts–a critical feature, if you have <strong,>oily skin. It also has an Advanced Algae Complex that helps diminish the sensitivity that often accompanies the use of aggressive acne treatments; and Canadian Willow Herb to help visibly and dramatically reduce redness and soothe irritation. All in all, a power packed product for those with oily skin who would like their treatment done to the next level. If your skin reacts badly from normal facial washes, you’re likely to have sensitive skin. Personally, Ponds, Olay, and L’Oreal are some of the drugstore brands I steer clear from because they irritate my skin even after just one wash. I’m also wary about using scrubs, but there are brands with facial scrubs that are gentle and effective like VMV Hypoallergenics, Celeteque, and Neutrogena. Look for cleansers that are hypoallergenic—meaning it contains fewer ingredients than regular products and few or none that can cause allergic reactions. Hypoallergenic with no harmful or toxic ingredients of any kind like chemical preservatives, SLS, parabens, sulfates, dyes, etc. Environmentally friendly. Made with organic and natural ingredients. Greatly improves pores and skin condition. All their products are prepared on a weekly basis and they guarantee purity and freshness for 6 months after purchase. Gently and thoroughly cleans without stripping, drying, or leaving a residue. This also delivers nourishing ingredients, including botanical extracts and essential oils. Excellent for all skin types, including sensitive skin. A dime-sized drop is enough for the whole face, so very economical as well. Non-Drying, Non-Oily, No Harmful Chemicals. I know you’ve probably been hit with the head with this brand one but it’s really one of the most affordable and gentlest cleaners out there. If you have oily skin though, we don’t recommend using the popular generic Cetaphil daily facial cleaner–use the oil control one. It doesn’t particularly help with acne, if you’re already on acne medication or treatments, you’ll want to minimize putting any additional irritating products on your face. On that front, Cetaphil is perfect for you. It doesn’t have a scent and it’s non-drying so it doesn’t drive your skin to produce more oil. For those not familiar with milk cleaners, it works a little differently than gel and liquid ones. You simply put the product on your face and pat it until the product absorbs all the oil and makeup on your skin. Once the consistency is thick, rinse or tissue off to remove. This will lift all the impurities without irritating the skin. The downside is it has a bit of fragrance, but it doesn’t linger long after washing. 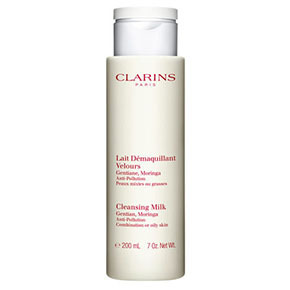 Some people are a bit uncomfortable with using just a milk cleanser and uses this in a double cleansing routine. Otherwise known as the trifecta of common skin problems. Having acne-prone, sensitive, and oily skin means the products you use have to be hypoallergenic, non-comedogenic, fragrance-free, water-based products (whew!). This doesn’t have to severely limit your choices though. With the right choice, you can still have the best face wash for oily skin and all the above features as well. Almost all the products listed here are for acne-prone and sensitive skin, unless otherwise stated but the below are the ones that crossed finished line. This product has a track record of not breaking out acne-prone AND sensitive skin. It feels soft and foamy when applied, which can result to a cleaner and brighter skin. You only need a small amount so a bottle should last you about 2-3 months. Also known to work very well with serums. The downside is if you’re already suffering from breakouts, it’s not formulated to fight but prevent acne. You would have to use this in combination with topical lotions or other acne medications. One of the bastions of French pharmacies, La Roche Posay produces a cleanser for the oily and ultra sensitive skin. The cleanser is very thick and foamy so a pea-sized amount would go a long way. VMV is the first, and the only, brand in the world to rate its hypoallerginicity. Personally speaking, my mother has compounded skin allergies (rosacea, acne, sensitive skin) and this brand has been one of the few her skin can tolerate. I personally prefer their Superskin Oil-Control Antibacterial Scrub over this, which I use on the regular, but if you don’t like scrubs then the wash is the way to go. Sometimes oily skin are hormones at play, sometimes it’s the byproduct of unsuitable skincare, but most of the time it’s just simply the skin that you were born with. Whatever the cause is, the universal goal if you have oily skin is to slow down your skin’s oil production for as long as possible so you can get the benefits of having this skin type (less wrinkles as you grow older as it helps trap moisture under the skin) but not the disadvantages (shiny face, breakouts). The way to do it is to maintain a skincare regime using the right products–starting with the best face wash for oily skin. Drink plenty of water to keep your skin hydrated and flush out toxins. Keep your skin very clean. Wash your face twice a day with gentle cleansers. Face washes that can cause irritations and dryness will trigger an overproduction of oil and sebum leading to blackheads, whiteheads, and acne. If you have excessively oily skin and have problems managing it, I highly recommend the Oily Skin Solution Program by Patricia Everson. Use warm water to help break down dirt and makeup. If you have sensitive skin, introduce new products one at a time with at least 3 days in between to make sure you are not allergic. For acne-prone skin, products with Beta-hydroxy acids (ie. salicylic acid) are best as they are oil-soluble and go deep into the pore lining to purge deep-seated dirt. If you have them, you will have an initial “purging” or breakouts to clear out all this oil and bacteria from your skin. Fear not, as after a few weeks or so, the BHA would have done its job and clear out all the grime that would eventually lead to an infection. If BHAs go deep, Alpha-hydroxy acids or AHA are water soluble and work on the top layer of skin to buff it. They help stimulate cell renewal, face acne marks and minimize large pores. When starting out, use no more than 5% AHA and only at night then work your way up. After cleansing, make it a habit to apply moisturizers specifically formulated for oily skin to keep your skin hydrated without breaking you out. Regularly use mud masks or clay masks (one or twice a week) to clear away excess oil. Reduce the amount of dairy and fat in your diet—fried foods, animal fats, vegetable oils, as they can aggravate your condition. Caring for oily skin DOES NOT mean drying your skin. Despite having excess oil, your skin may still lack moisture. Moisture is the amount of water in your cells, not the amount of oil. Making sure your skin is hydrated is one of the keys to keeping oil production at bay. Use non-comedogenic products to avoid clogged pores and prevent further breakouts. This applies to skincare and makeup like primers, foundation, etc. And that’s it! Remember, the right combination of products will do wonders for your skin no matter what condition its in. With this list, I hope you find the perfect facial cleanser for you. Avalon.edu. (2016). Oily Skin Advantages | Avalon School Of Cosmetology. Avène USA Eau Thermale Avène – Sensitive Skin Care. (2018). Best Skin Care, Makeup, Face & Body Creams – CLARINS. (2018). Christina Moss Naturals – Organic, Healthy, Non-Toxic Cosmetics. (2018). Clinique | Official Site | Custom-fit Skin Care, Makeup, Fragrances & Gifts. (2018). Doherty, B. and VanTine, J. (2002). Growing Younger: Breakthrough Age-Defying Secrets. Emmaus, PA: Rodale. 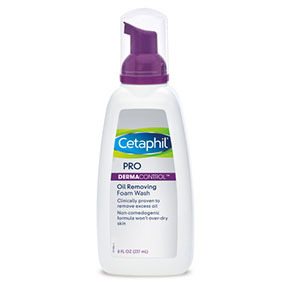 Gentle Skin Care Products | Cetaphil. (2018). Glytone | Professional Skin Care Products and Peels. (2018). Grigore, A. (n.d.). Skin Cleanse: The Simple, All-Natural Program for Clear, Calm, Happy Skin. How to control oily skin | American Academy of Dermatology. (2018). Hypoallergenics, V. (2018). Allergy Control & Hypoallergenic Products | VMV Hypoallergenics. Kenet, B. and Lawler, P. (1999). How to Wash Your Face: America’s Leading Dermatologist Reveals the Essential Secrets for Youthful, Radiant Skin. New York: Simon & Schuster. La Roche-Posay Skincare, Sunscreen, Body Lotion Official Site. (2018). 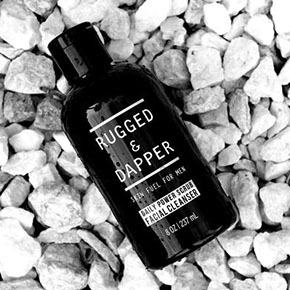 RUGGED & DAPPER | Men’s Grooming & Skincare Products. (2018). University of Maryland Medical Center. (2016). Oily skin. Shetty, R. (n.d.). Age Erase: Your ultimate beauty bible to ageing gracefully. Shop Paula’s Choice | Paula’s Choice. (2018). Shop Quality Skincare Products Backed by Science at SkinCeuticals.com. (2018).